I Fonduel, Do You Fonduel? What started eight years ago as a one-on-one matchup between two cheese distributors (Columbia and Gourmino), the annual Fonduel has now become a full on celebration of the Swiss dish that’s taken the world by storm. This year, rather than cheese distributors going head to head, six of the country’s best cheese shops put their crock pots—and even a steamer—to the fire, creating some of the most cutting edge interpretations of fondue you’re bound to find. The crowd of cheese lovers was wowed by the creativity on display, from Foster Sundry’s fondue ‘soup dumplings’ with apple and balsamic vinegar, to Di Bruno Brother’s spring vegetable zeppole fried to order. It was all about classic flavor with Bedford Cheese Shop’s mustard infused fondue, and Fairfield Cheese Co’s fondue celebrated the season with pickled ramps and ramp pesto. Eataly Downtown also had a strong showing, topping their house-made bread with 47-month-aged Prosciutto di San Daniele and daikon radish. But the Murray’s Cheese recipe stole our hearts (and taste buds), nabbing the bronze medal with an Annelies fondue that topped both Swiss nachos (dill pickle chips, diced tomato, and pickled red onion) and bratwurst chili cheese dogs with crispy fried shallots. It was proof positive that even a 300-year-old dish from Zurich can still be fresh and modern. Annelies is our own Cavemaster Reserve Cheese, a collaboration with world-famous Swiss cheesemaker Walter Rass, he of Challerhocker fame. 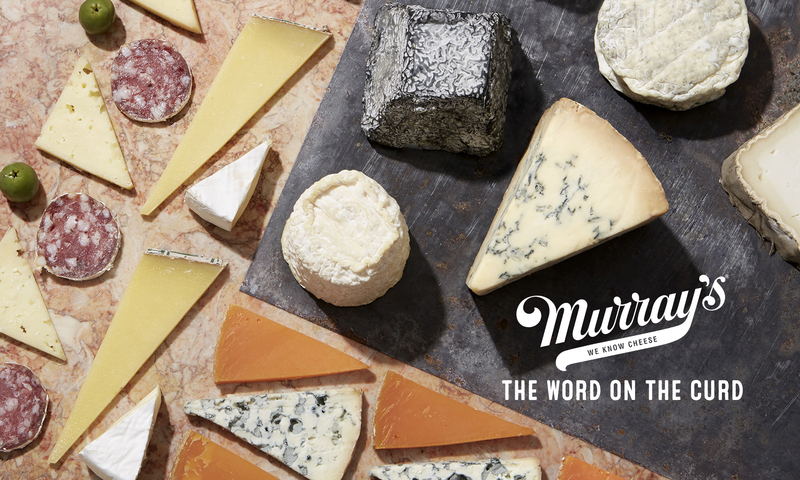 Walter makes this incredible cheese in the Appenzell valley in Northern Switzerland, using a special hoop to press the iconic Murray’s logo directly into the cheese. He then carefully ages the wheels for three months before sending them on their way to the Murray’s caves in Long Island City. Here, in our special temperature- and humidity-controlled Alpine cave, they spend the next nine months in the care of our dedicated caves team, developing sweet flavors of roasted hazelnuts and vibrant alpine grasses, with lush undertones of butterscotch and cocoa. Annelies is named for Walter’s wife, and is a tribute to her. Our fondue was a tribute to the delicious things that happen when a master Swiss cheesemaker and NYC’s oldest cheese shop collaborate in the world’s melting pot, NYC.